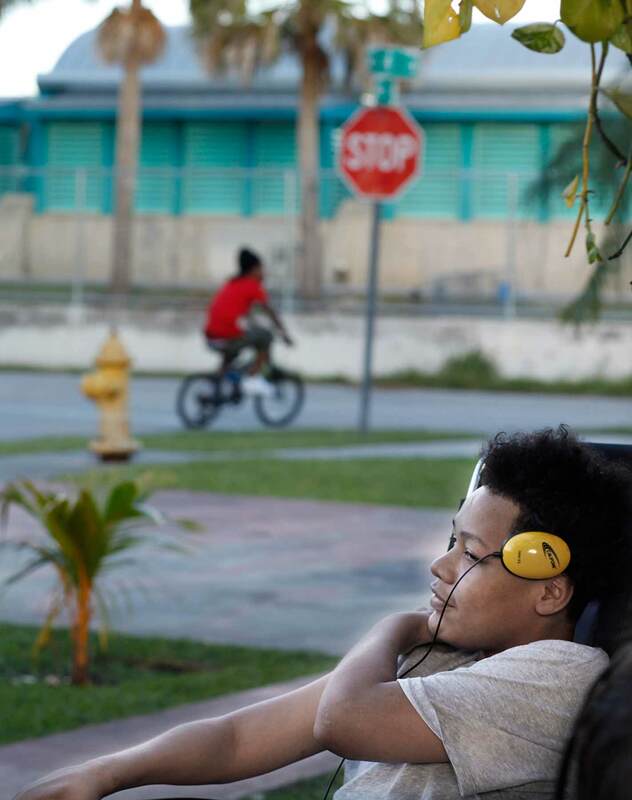 A week before Christmas, 15-year-old Martwan Santiago was at home in Florida City when he heard gunshots outside his window. “I heard like 20 shots go off,” he recalled. “Pop! Pop! Pop!” Then, his big brother Martaevious, 16, stumbled into their home bleeding from the leg. Martaevious had been in the driveway sitting in a car with a friend. When the shooting started, he got out and ran; his friend, who stayed in the car, was shot in the head and barely made it out alive. 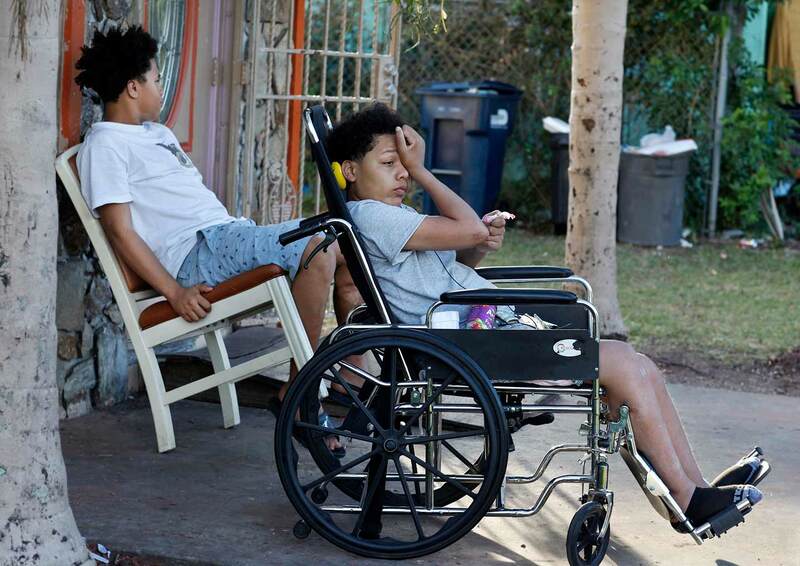 It was the second time in less than a year that gunfire had ricocheted through their family. One bullet hit his buttocks, one struck his leg, one pierced his lung. The fourth careened through his spine and shattered part of his collarbone. Martwan was paralyzed from the waist down. When Martwan got shot, he collapsed onto the pavement, arms and legs splayed out to the side. “You couldn’t have told me my child wasn’t dead,” said Martwan’s mother, Lakesha Bess. Martwan’s stepfather, Vernon Williams, ran to his side. Martwan was rushed to the intensive care unit of Nicklaus Children’s Hospital in Miami, where he lapsed into a coma. He didn’t regain consciousness for more than a month. “He thought he was going to be able to get out the bed and walk,” Bess said. It took his parents close to a month to work up the courage to tell him he was paralyzed. “I think the real downfall was the expression that he showed on his face,” said Williams . As Martwan recovered, his siblings asked him constantly to tell them about the night he was paralyzed. “I tell them, ‘No, because I don’t like to talk about it because it gives me nightmares and stuff,” he said. “Hang around the wrong crowd of people, this is what happens,” Martaevious said. Growing up, the boys spent their afternoons playing football after school. Martwan, in particular, had always been a rambunctious, high energy kid. 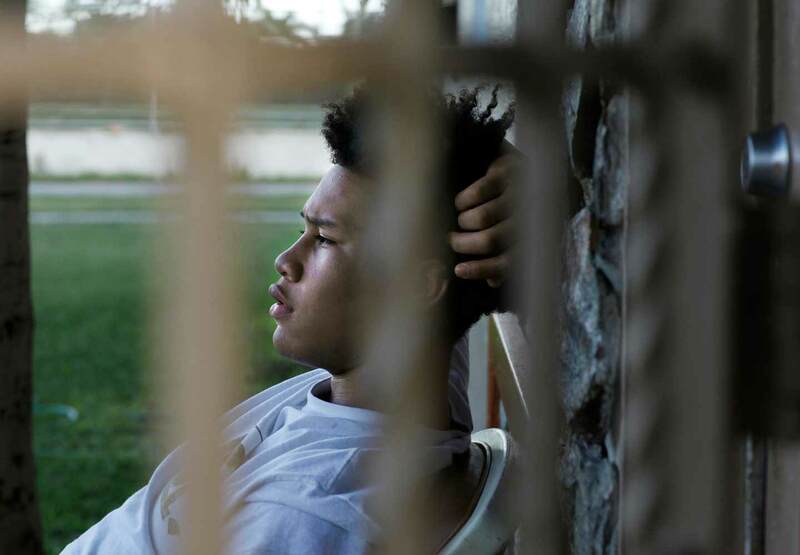 “I used to go through—excuse my french—hell with Martwan,” his mother said. When Martwan started getting into trouble, he brought Martaevious along with him. Their stepfather, Vernon Williams, supported the family by cooking at a resort an hour and a half away on Ducks Key. Their mom stayed at home to take care of the kids—10 brothers and sisters. After Martwan got shot, Williams quit his job to work closer to home so he could help. He also moved the family away from the neighborhood where Martwan was shot—a part of Florida City locals call the Alley. While Martwan’s younger siblings planted a vegetable garden out back, Martwan directed the action from his wheelchair. But he still felt left out as his siblings roamed the block. In many ways, Martwan’s injuries forced a clean break with his past. His days are spent in school and physical therapy at a program for children with complex medical needs. In the afternoons, he sits outside watching his younger siblings play. When old friends did come to visit Martwan at home, they left with a tablet he had been given by the hospital. “The ones you call your brothers are the same ones who will get you caught up,” Martwan said. He worried, though, that his younger siblings were right to be afraid of staying in their new home. “Every time we move, it’s like violence come behind us, like bad luck,” he said.